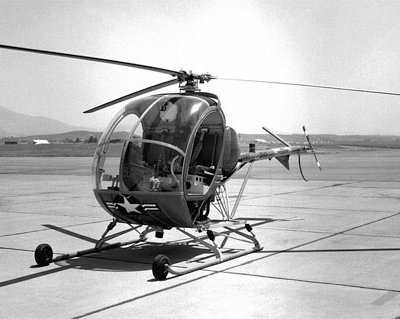 The AH-64 was first known as the Hughes YAH-64. 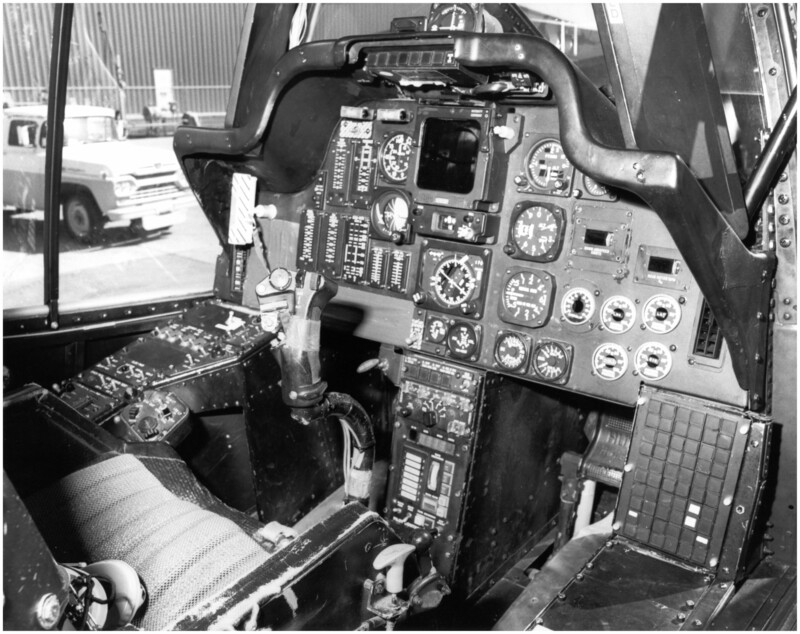 The twin-engine, two place attack helicopter was Hughes Helicopter’s entry in the U.S. Army Advanced Attack Helicopter (AAH) competition which ran from 1973 to 1976. 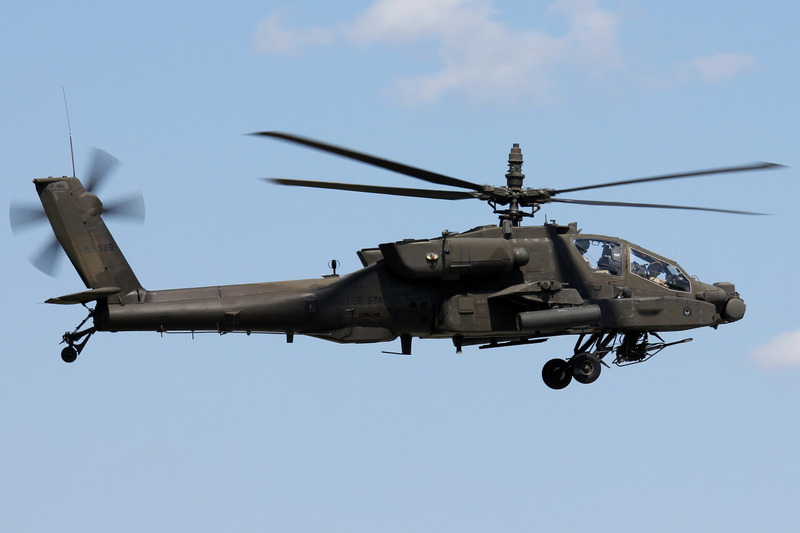 The AAH program was initiated to develop an attack helicopter for anti-armor operations in day, night, and adverse weather conditions. The program was begun soon after the cancellation of the Lockheed AH-56 Cheyenne program. Both competitors for the AAH award, the Bell YAH-63 and the Hughes YAH-64, first flew in September 1975, and two flying prototypes of each were delivered to the U.S. Army for evaluation in May 1976. The Army selected the Hughes design on 10 December 1976. 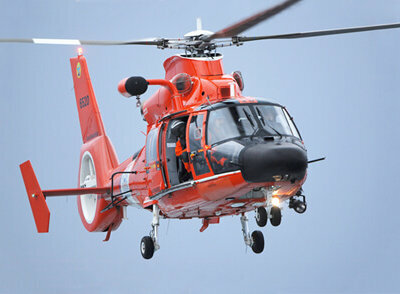 Design and manufacture of the aircraft has passed from Hughes to McDonnell-Douglas to Boeing. The production version had several design changes including a new empennage and the first production aircraft was not delivered until 1984. The last of 821 production AH-64As was delivered in 1996. Other examples were also built for export customers. Approx 540 AH-64As are scheduled for conversion to the AH-64D variant which includes a new cockpit, mast-mounted sight and provision for Hellfire missiles. This title contains the US Army flight manuals for the AH-64A and AH-64D Apache military helicopters. US Army Operators Manual for the AH-64A, TM 1-1520-238-10 dated 31-8-94, approx 639 pages. 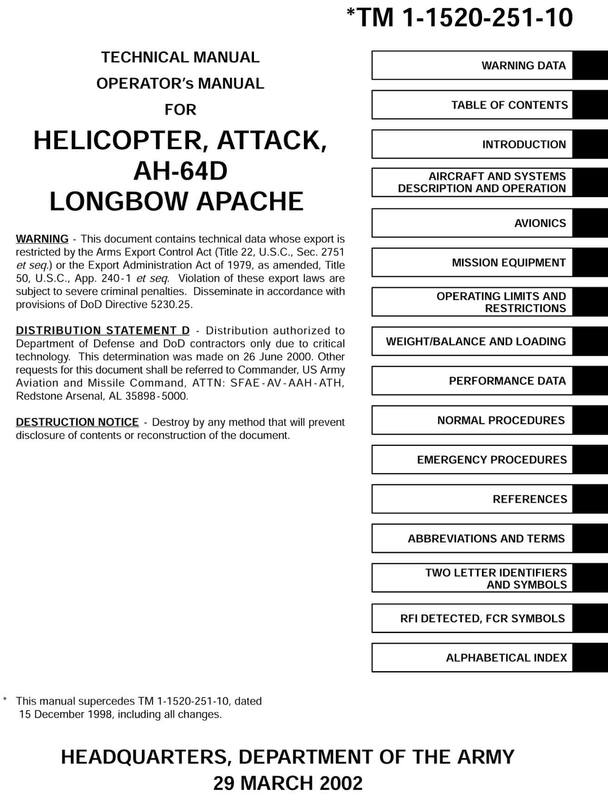 US Army Operators Manual for the AH-64D, TM 1-1520-251-10 dated 29-3-01, approx 1083 pages.